How Far is VS Homes 1? V S BUILDER presenting "VS Homes 1" a premium residential project at Madipakkam, Krishna Moorthi Nager, Thirumurugan Street. Its located just 1km from Keelkattalai Bus Terminal and well developed residential hub. "V S BUILDER", a home blessed with beauty, serenity and all the modern day comforts you've always wished for. 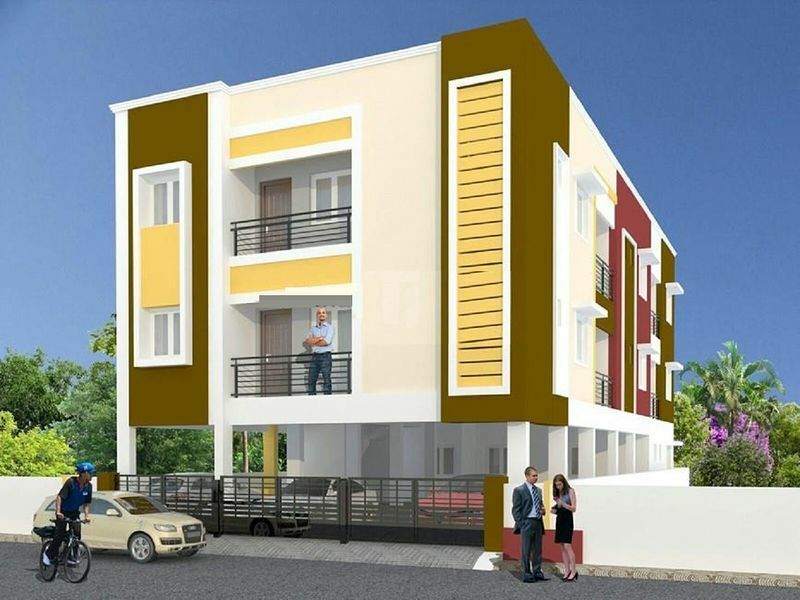 "V S BUILDER" is located in Madipakkam, Near to Vailankanni School & Close to Velammal School (CBSC).Chennai, India. The V S BUILDER was aimed at creating an amazing apartments where we've taken immense care to ensure that the finest quality and the best branded materials are used in order to achieve the quality, speed, timely delivery and customer satisfaction. The V S BUILDER "APARTMENT" blessed in 2000sq area 4 Units in the form of 2BHK premium Apartments with good facility. BOOKING OPEN... NEVER GIVE UP. Structure:Reinforced Cement Concrete Framed Structure. Course and country Pressed tiles for terrace. Wall: Good Quality burnt bricks. Paint (inner only)fully with Emulsion Finish. 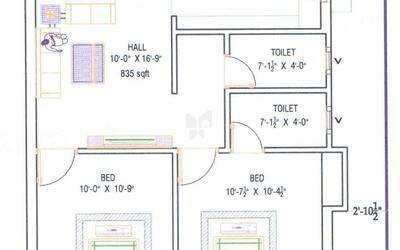 Slab without shutter, each Bedroom caddapah and kitchen with one loft at any one side of the room. Kitchen: Stainless Steel sink and Granite Top for Kitchen Platform. Sanitary Fittings : 1. White Colour Wash basin 1 No. 2. White Colour EWC With flushing cistern in Attached Bathroom 1 No. 3. IWC Without flushing in Common Bathroom 1 No. (All sanitary fitting parry were). Flooring: 24” X 24” Vitrified Tiles for entire House except Toilets. Country Wood frame and Flush Shutters with Enamel Paints. Other Doors are with ordinary Locks. Steps : Steps Laving Green or Red Marble & Stainless Steel Handle. Water Supply:Ground Water with Bore wall of Sufficient Depth. 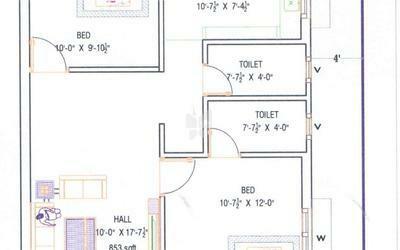 Will beprovided, Special Amenities as per requirements of the client will be provided on chargeable Basis. Parking: Car park & Two Wheeler parking for each flat. Loan: Loan will be organized from LIC/HDFC/SBI.